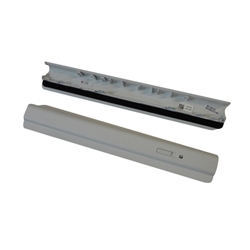 Description: New genuine Acer tablet docking station front hinge cover. This is only the cover and not the actual docking station. This part is textured and white in color. Compatible Part #'s: 42.L0MN5.002, 13NL-0IA 0E01 12BT.